2 Bedroom End of Terrace Cottage For Sale in Halesworth for Offers Over £220,000. 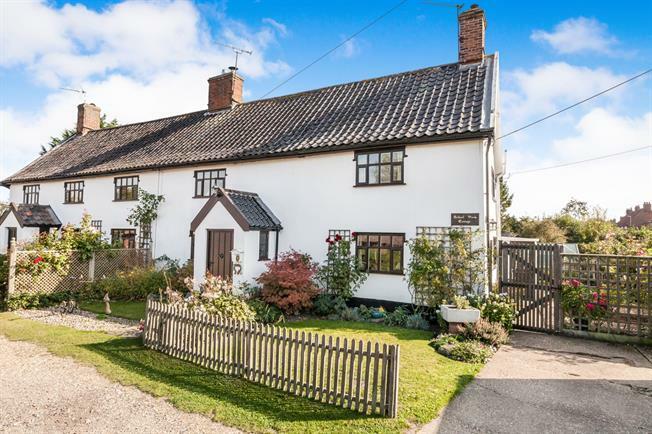 A beautiful character cottage that boasts remnants of the 16th century and has been lovingly maintained to create a cosy home. Stunningly set along a private road and just one of three cottages you are instantly welcomed in to the porch. The kitchen leads off and is finished with a natural oak feel before leading through to the sitting room where you have a feature inglenook fireplace taking centre stage and beams adorning the walls, you even have room for the dining table too! The family bathroom is situated on the ground floor whilst upstairs you have two double bedrooms. The garden wraps around the side and is set beautifully with mature roses and shrubs and to the front you have off road parking.